Up until 2009, Northern Ireland was the “end of the line” for transatlantic communications, with inbound data landing in Cornwall before making its way up the Irish Sea. 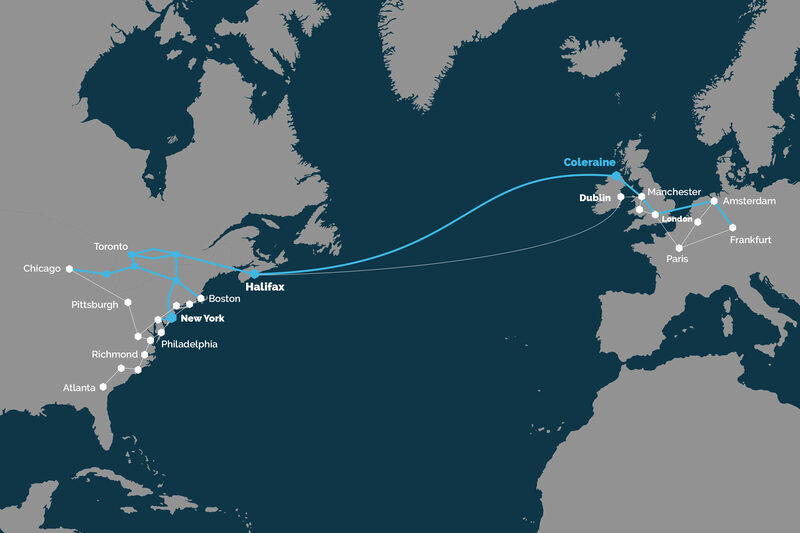 Project Kelvin is an extensive submarine and terrestrial cable deployment that directly connects Northern Ireland to North America. The industry leading fibre optic submarine cable is brought ashore in Coleraine, less than 1km from Atlantic Link. As a result, the region has become the optimal communications point for North American and Pan-European markets.